To search for books, use the library catalog. You can access the catalog using the search box on the library home page. Or, if you prefer, you can use the Advanced Search interface, which gives you more options for limiting your search. Every book in the catalog is tagged with subject terms that tell you what the book is about. For example, the book Team of Rivals: The Political Genius of Abraham Lincoln is tagged with the terms “Lincoln, Abraham, 1809-1865” and “Presidents — United States — Biography.” When you notice a subject term that corresponds to your topic, click on the subject term to get a list of all of the books on that topic that UMW owns. Each book has a unique call number and each catalog record will list the location of where the book is shelved in UMW Libraries. Call numbers beginning with letters A through L are located on the Third floor. Call numbers beginning with letters M through Z are located on the Second floor. Oversized books are located at the north end (the side closest to the public elevator) of the Second and Third floors and have call numbers that begin with OVER. Juvenile/Young Adult Books are also located at the north end of the Second Floor and have blue label protectors over their spine labels. Books with a location of Reference or a call number beginning with REFB are located on the First floor, to the left of the Information Desk. Oversized Reference, with a call number beginning with OVER REFB, can be found at the end of the Reference section. A location of “Stafford Campus” or “Stafford Stacks” indicates items held in the main collection of the Stafford Campus Library. How do I find the Stacks? The Simpson Library “Stacks” refers to the main collection of Simpson Library. Call numbers beginning with letters A through L are located on the Third floor. Call numbers beginning with letters M through Z are located on the Second floor. Stair cases are located straight ahead as you enter Simpson Library, and on the north end of each floor. An elevator is also located on the north end of each floor. The Stafford Campus Library “Stacks” (items with a location of “Stafford Campus” or “Stafford Stacks” in the Catalog) are located to the right of the computer workstations. How do I find Microfiche/ Microfilm/ Microcards? In Simpson Library, the Microfiche are located in the reddish cabinets on the south side of the First Floor. Microfilm is held in the gray cabinets on the south side of first floor. Microcards are shelved behind the stairwell. Readers for the Microfiche, Microfilm and Microcards are also located on the first floor. Please ask for assistance using the readers at the Checkout Desk. How do I contact the Checkout/Reserve Desk? The Checkout/Reserve Desk at Simpson Library may be reached by calling 540-654-1125. The Circulation Desk at the Stafford Campus Library may be reached at 540-286-8025 or stafflib@umw.edu. Hourly changes to the regular schedule during semester, holiday breaks or inclement weather will be available at each specific number. University closings will also be available on the University’s Information Hotline at 540-654-2424. Please note that Simpson Library’s Checkout/Reserve desk will close 15 minutes prior to the closing of the building. How do I contact the Information Desk? Contact the Information/Reference Desk of Simpson Library (540-654-1148 or refdesk@umw.edu) or the Stafford Campus Library (540-286-8025 or stafflib@umw.edu) for research assistance. You may also contact your Subject Librarian/Faculty Liaison with research questions and/or to set up an appointment. Contact the Information/Reference Desk of Simpson Library (540-654-1148 or refdesk@umw.edu) or the Stafford Campus Library (540-286-8025 or stafflib@umw.edu) for research assistance. You may also contact your Subject Librarian/Faculty Liaison with research questions and/or to set up an appointment. When the library is open, click the button below to chat live with a librarian. Materials from the regular circulating collection may be renewed up to 140 days without returning them to the UMW Libraries. Renewal may be done online by accessing your Library Account through the UMW Libraries website. You may also come into the Libraries and present your Eagle One ID card at the Circulation Desk to have your items renewed. You may access your Library Account online by logging in with your UMW Net ID and password. Look for the button “Login to your library account” in the top right corner of the library homepage. This will allow you to view everything that you have checked out, see when they are due, and to renew them. If the renewal option does not appear, contact the Simpson Library Circulation Desk at 540-654-1125. Materials that are needed past 140 days may be checked-out again, but must be brought to the Library for processing. Items that have been requested by another user cannot be renewed. Materials on Course Reserve cannot be renewed but may be checked out again providing no one else is waiting for the item. View our full borrowing policies here. Materials from the regular circulating collection may be renewed for three semesters without returning them to the UMW Libraries. Renewal may be done online by accessing your Library Account through the UMW Libraries website. You may also come into the Libraries and present your Eagle One ID card at the desk to have your items renewed. You may access your Library Account online by logging in with your UMW Net ID and password. Look for the button “Login to your library account” in the top right corner of the library homepage. This will allow you to view everything that you have checked out, see when they are due, and to renew them. If the renewal option does not appear, contact the Simpson Library Circulation Desk at 540-654-1125. Materials that are needed past three semesters may be checked-out again, but must be brought to the Libraries’ for processing. Items that have been requested by another user cannot be renewed. Courtesy reminders that list overdue items are sent when possible. The patron’s account is automatically blocked after the fourth notice, and no further circulation transactions can take place until these items are returned. A charge for replacement is sent to UMW Student Accounts for each item that is overdue by 30 days or more without further notice. Many library items no longer accrue overdue fines. However, reserve items, interlibrary loan items, recalled items and electronic equipment will accrue overdue charges. You may connect to UMW’s wireless network in several ways: you may use the UMW-Secured connection, UMW wireless connection, UMW-Guest connection, or connect on the Apogee residential network. Find information on how to connect your laptop here. Simpson Library is the main library for the University and an excellent place to study, to work with class groups and teams, and to get friendly professional assistance with research for all kinds of assignments. We also serve UMW faculty and staff and are open to the public. Our collections include 500,000 volumes in the social sciences, humanities, and sciences; more than 100,000 electronic books; millions of articles from magazines, newspapers, and scholarly journals; popular reading books; maps; and Federal and Virginia government documents. Requests are submitted electronically through our Interlibrary Loan (ILL) system. First-time users must Create an Interlibrary Loan Account before being able to submit requests. What if I forget my ILL password? To request that your password be reset to “ill”: UMW students, faculty, and staff based on the Fredericksburg campus should contact the ILL Office in Simpson Library at ill@umw.edu or 540-654-1746. Patrons affiliated with the Stafford campus should contact the Stafford Campus Library at stafflib@umw.edu or 540-286-8025. Can I request my textbook by ILL? No, we do not request textbooks. Where can I pick up my ILL materials? You will be notified via your UMW email account when your ILL materials have arrived. If you requested a journal article, a PDF copy will be sent electronically to your ILL account where it can be accessed by clicking on ‘View Electronically Received Articles’. It will be your responsibility to print or download each requested article within 30 days of receipt. Books and microforms may be picked up at the Circulation Desk in Simpson Library or the Stafford Library, depending upon your campus affiliation. Some materials are designated library-use only by the lending library and must remain at the library for the entire loan period. ILL books and microforms may be renewed unless the label contains the statement ‘NO RENEWAL.’ Renewal requests are allowed from one to seven days before the book is due. To request a renewal, login to the ILL system, click on the ‘Checked Out Items’ link and then click on the Transaction Number of the item you wish to renew. If an item is renewable, a link will be shown at the top of the page. You will be notified by email of the renewal due date or denial of the renewal request. How do I check out a book on reserve? A valid EagleOne card and a patron account in good standing are required for Reserve check-out. Course Reserves at Simpson Library are available at the Circulation Desk. Course Reserves are available when the library opens until 15 minutes prior to the library’s closing. Reserve materials held at the Stafford Campus Library are available at the Information Desk during open hours. How do I see what’s on reserve? All items that have been placed on Reserve are listed in UMW Libraries’ online discovery system, Quest. Please search our catalog for reserve materials using the reserve item search. Please be aware that there is a 24 hour delay between an item being placed on reserve and showing up in Quest. However, the orange Quick Search By Class button will allow you to search all items by class that are on reserve with no delay. If you are having trouble finding your reserve item, please try this search. What is the lending period for materials on reserve? Reserves circulate for 2-hour/overnight, 6-hour/overnight, 24-hour, 3-day, 7-day or 14-day depending on the instructor’s preference. Reserve items cannot be restricted to building use. If a 2-hour Reserve item is checked out within 2 hours of closing or a 6-hour Reserve item is checked out within 6 hours of closing, the item will be due back when the library reopens. There is no limit to the number of Reserve items that can be checked-out at one time. Holds and Recalls cannot be placed on Reserve material. Reserve material cannot be renewed, but may be checked out again if no one is waiting for the item. Are there overdue fines for materials on reserve? Yes. Charges for overdue Reserve materials are $1.00 per hour (or any part of an hour) per item for Hourly Reserves and $1.00 per day (or any part of a day) per item for Daily Reserves. Charges continue to accrue when the library is closed. There is no maximum charge for overdue Reserve items. How do I return materials on reserve? Reserve materials must be returned to the Circulation Desk if the library is open. For after-hours returns, book drops are available on the front wall of the Simpson Library building and on the second floor of South Building on the Stafford Campus. Quest is a search tool that allows users to find print and online resources at UMW Libraries through a single interface. A search in Quest will locate books, e-books, articles from journals/magazines/newspapers, DVDs, and much more. Instead of performing multiple searches in the catalog and different databases, users can now locate books and articles, all with just one search. Quest is powered by Primo by Ex Libris. Quest searches all of the items included in the UMW Libraries catalog: books, videos, government documents, microforms, etc. Additionally, Quest searches the majority of UMW’s subscribed databases. Additionally, some of our popular news databases such as ProQuest Historical Newspapers and Factiva are not indexed in Quest. However, many articles from these sources are still findable in Quest from other sources. Is Quest replacing the UMW Libraries’ catalog and databases? The Libraries’ catalog has been completely incorporated into Quest. Use it to search the Libraries’ entire physical collection, find course materials your professor may have put on reserve, renew books online and more.The databases are not going away and may offer specialized search tools and results not found anywhere else. Quest is simply another way to search that offers you the convenience of searching the catalog and a great number of databases at the same time. If you’re just starting out researching a topic, Quest is a great place to start! When would I NOT want to use Quest? Quest searches most, but not all, of UMW Libraries’ subscribed databases. If you are doing more in-depth research on a topic, it would be a good idea to also search the specialized databases in your subject area. Information on these resources can be found in our Subject Guides. Can I use Quest from off-campus? Yes, Quest works off campus. However, some search results may not display until you log in and most of the full-text articles will not be accessible without valid UMW credentials. You will need to log in using your UMW NetID and password as you would normally do when accessing databases from off-campus. If I am a student at Stafford, where do I get an EagleOne card? You can obtain an EagleOne card in the Stafford Campus Library whenever we are open. Simply ask at the library information desk. No appointments necessary. You can also obtain an EagleOne card on the Fredericksburg campus by visiting the EagleOne Card Center on the first floor of Lee Hall. The EagleOne Card Center is open from 8am to 5pm Monday through Friday. How do I find children’s books? Both Simpson and the Stafford Campus Library own children’s books. Both libraries have separated their children’s books out from the rest of the collection. At Simpson, Juvenile/Young Adult books are located on the north end of the second floor (near the HCC bridge). Look in our guide on Biographical Information. Check our Book Review guide. How do I search for literary criticism? Check our Literary Criticism guide. How do I find newspaper articles? What about the Bullet/Blue and Gray Press? For help finding newspapers, look in our Newspapers guide. Online access to the Bullet/Blue and Gray Press is available. For current articles, look on the Blue and Gray Press website. Archived articles are available to browse and search from 1922-2010 in the Eagle Explorer, along with these other UMW publications: The Battlefield yearbook, the Aubade student literary journal, the alumni magazine, and academic course catalogs. For more information and to find hard copies of the Bullet/Blue and Gray Press, try our guide on Campus Newspapers. How do I evaluate books and e-resources? Visit our guide on Evaluating Information. How do I find government documents (including tax forms)? Visit our guide on Government Documents. Find tax forms here. How do I find online videos? Visit our guide on Online videos. Find information on videos available to UMW students, open access videos, pay-per-view videos, and open courseware videos. Get information on finding both US and international statistics as well as background information in our Statistics guide. How do I find Special Collections materials? Visit Special Collections’ research page for information on how to find materials in Special Collections and the University Archives. Where are Special Collections and the University Archives located? Special Collections and the University Archives are on the second floor of Simpson Library in Room 217, immediately in front of the central staircase. From the Libraries’ website, click on the Login to your library account button in the top right corner of every page. From Quest, click on the Sign In link in the top right side of the menu above the search bar. Once you are logged in, you can see what you have checked out, renew items, and see any fines. Please note: This is not the login page to access library databases. To log into the databases, please choose a database from the Databases Guide or from the database search on the library homepage. If you are off-campus, you will be prompted to log in. What happens if I damage or lose materials? The minimum charge for a lost item is $75. Some items are loaned to us from other institutions and other replacement charges may apply. Some DVDs and all electronic equipment have specific replacement charges depending on the cost of the items. The lost item charge will be refunded if the item is found and returned in good condition within 6 months of the billing date. Replacement copies of lost items damaged beyond repair will not be accepted in lieu of payment. Charges for damaged items are assessed on a case-by-case basis. Underlining and highlighting text will result in damage fees. Find more information on this and other borrowing policies on the Circulation page. Students, staff, and faculty should use their EagleOne card to check out books. Alumni and other guests may apply for a guest patron card. More information, including cost, is available on the Guest Services page. How do I access the Libraries’ electronic resources off-campus? Current students, faculty, and staff can access databases and electronic journals from off-campus by logging in with their UMW NetID username and password (usually the same login as Canvas and other UMW systems). For more information and for help troubleshooting problems, please see our database troubleshooting page. Microsoft Office including: Word, Excel, Access, PowerPoint, Project, Publisher, Visio, OneNote, SharePoint Designer, and InfoPath. Suggest items to add to the Libraries’ permanent collection via our Purchase Request Form. To suggest books to add to the Popular Reading Section, just fill out the Popular Reading Request Form. Please check Quest before making a request to make sure we don’t already own the book. Due to budget constraints, the Libraries cannot guarantee that all requested items will be purchased, but all input is appreciated and will be considered. What kind of equipment does Simpson Library have to check out? Simpson Library has digital cameras, video cameras, headphones, laptop locks, iPads, and more available for checkout. Check real-time availability in the catalog tab of our discovery system, Quest. 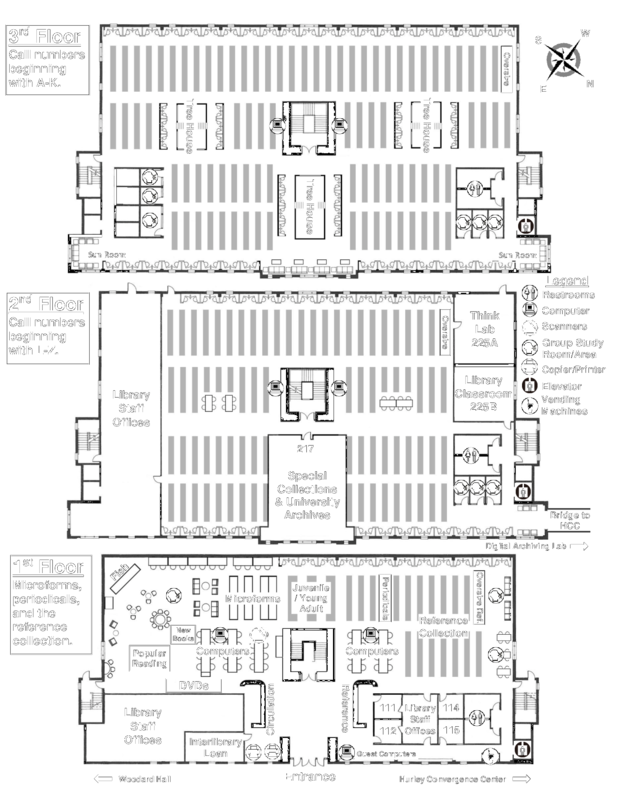 Find more information about the types of equipment available at Simpson Library in this guide. Suggest apps to add to our iPads by filling out this form. How do submit my honors paper online? Beginning in the spring 2015 semester, UMW Libraries will no longer accept physical copies of honors papers for addition to the University Archives. Electronic copies of these works will be collected and preserved in UMW Libraries’ digital repository, Eagle Scholar. Submit your honors paper on our paper submission site. How do I report a problem with one of the study areas? To report a problem with a study area (e.g a treehouse, study room, or study carrel), fill out and submit the Report a Problem – Study Area form. How do I submit a request for scanning to the Digital Archiving Lab? Simpson Library’s Special Collections and University Archives department provides a variety of digitization services for UMW faculty and students who would like digital images and text materials for classroom or research use. Find more information about scanning services or go directly to the digitization request form. The Libraries also have self-service scanners. Learn about all our printing, scanning, and copying resources. What options do the Libraries provide for printing, scanning, and copying? The Libraries have various printing and scanning options, including a touch screen scanner and cloud printing. Printers accept EagleOne, one dollar bills, and coins. Find more information on the Print, Copy, and Scan page. Where do I go to 3D print/scan? The ThinkLab is located in Simpson 225A.The space has 3D printers and scanners open to the UMW community. How long can I check out things out for? Will I get a fine if I don’t return them on time? It depends on your relationship to the university and the type of item you want to check out. Check our Circulation page for more information or go straight to borrowing policies for students, faculty and staff, or guests and alumni. How long do ILLs check out for? Will I get fined if I don’t bring things back on time? The checkout period is set by the lending institution. Fines are higher for ILL items. Check our Circulation page for more information or go straight to borrowing policies for students or faculty and staff. Guests and alumni cannot make ILL requests. How do faculty members designate proxies? Fill out the Proxy application form. Any current UMW student or employee may serve as a proxy. A proxy may check in/out, renew, place materials on course reserve, submit/pickup Interlibrary loan requests, submit order cards, photocopy, print, place holds or recalls on material that is checked out, or request a search on material that cannot be located.